I got this from a mass order on SFPL many months ago. I picked Diamine Umber on a whim. 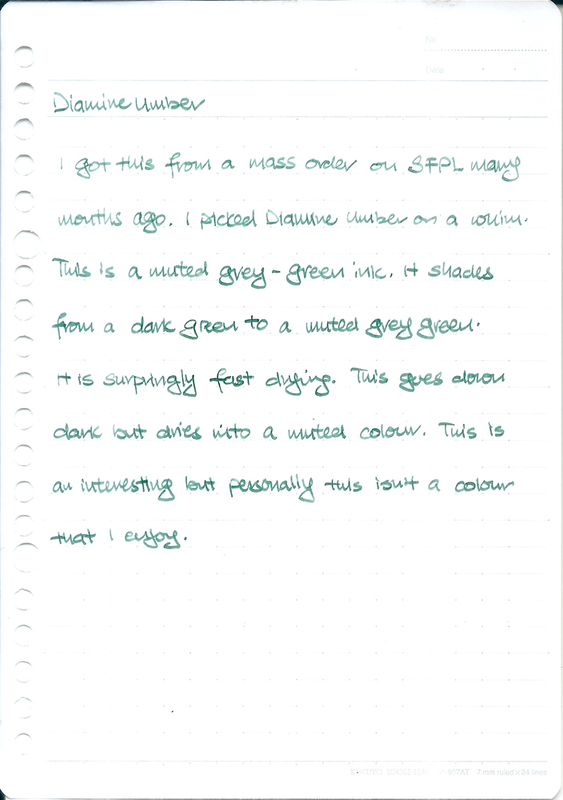 This is a muted grey-green ink. It shades from a dark green to a muted grey green. It is surprisingly fast drying. This goes down dark but dries to a muted colour. Diamine Umber is an interesting colour but personally this isn’t for me.